How To Add Social Media Sharing Buttons to Blog Images? By now, you’ve probably made great images that your readers even want to share them. But how do they do that with just a few clicks? By using an image sharing tool for your blog post images. What is an Image Sharer? An image sharer works similarly with social media share buttons, but it works specifically for images. If you’ve ever read an article and shared it to Facebook or Twitter, then you should be familiar with the process. In this case, social media sharing buttons are displayed on the images. So if you want to share or bookmark any specific image, you hover your mouse on the image, pick the right social media button & share it. To let your blog followers share your images, you must first configure your website to do so. This is where Profitquery’s WordPress plugin comes in handy. Originally called the On Hover Image Sharer, this function is now part of a more diverse, all-in-one plugin called Share + Subscribe + Contact. 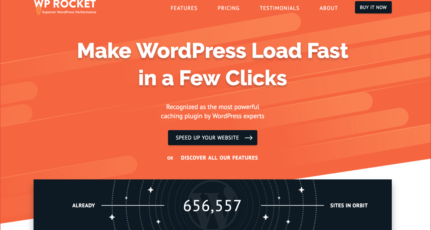 Just like any other plugin, you can download it from WordPress.org or search for it from the Plugins section of your WordPress dashboard. This plugin puts a series of social media sharing icons when a user hovers over an image on any of your blog posts. Your readers can share your image to their Twitter, Facebook, Pinterest or Google + accounts. 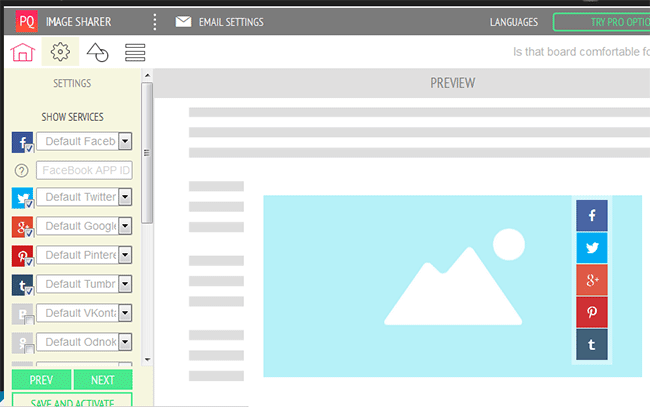 Once you’ve installed the plugin, you can access the plugin’s dashboard from the left menu panel in WordPress. Here, hover your mouse pointer over Image Sharer and click on “Settings”. This will bring you to a series of configurations you can set for image sharing before it is activated. First, you need to choose which social networks you want your audience to share your image with. Leave the drop down section on “Default”. When you’re done selecting the networks, click on “Next” on the bottom of the list. The next part allows you to choose a design and manner that the social sharing buttons appear when hovering over an image. You can select the icons to appear either vertically or horizontally, and change the size and appearance of the icons. 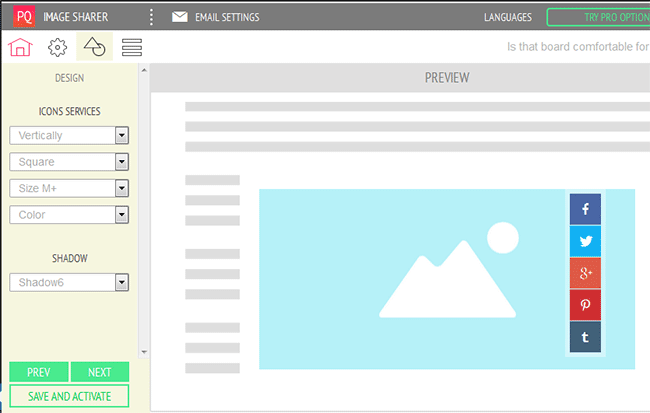 Whatever you choose reflects on the preview pane on the right side. Click “Next” when done. 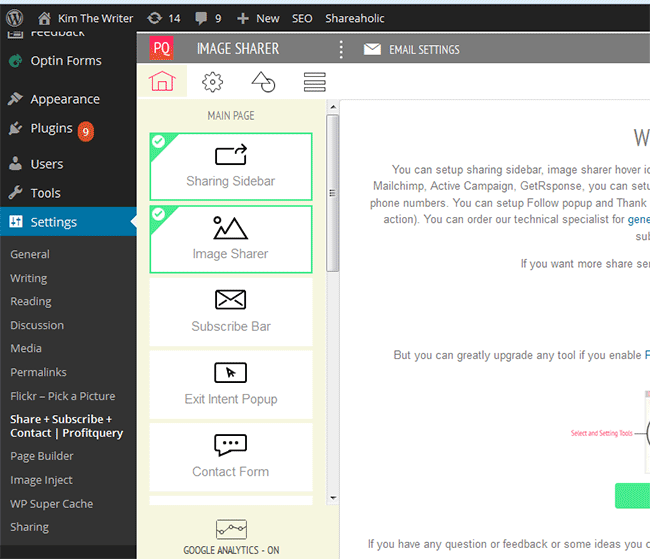 The next portion is pretty advanced and lets you disable image sharing on the main page of your site. This is entirely up to you, but I would recommend doing so to keep your main page clean and fast-loading. It also allows you to disable the plugin with a specified URL mask. Lastly, click “Save and Activate” to enable the plugin. Open a blog post and check to see if the image sharing function is working as expected. If you create most of your images for your posts, then it makes sense that you would want others to share it so it brings them to your actual post. For instance, you may notice here in Shoutmeloud that our blog post images usually includes the blog post title. It’s designed to lure potential audiences, who may only be seeing the image from Instagram, Pinterest or Facebook, to click on the link for the article. If you want to reach an audience through image-centric social networks like Pinterest and Instagram, this plugin will help you achieve that. However, if you only use stock photos for your blog posts and don’t care much about generating more traffic through images, then you probably won’t have any use for this plugin. What about BlogSpot or other platforms? 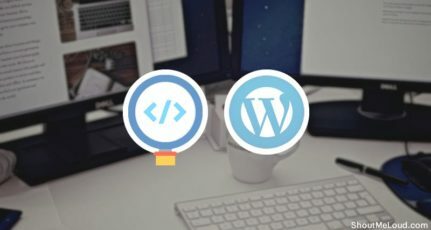 If you are using any other platform than WordPress, you can use micro content sharing script by Markerly. 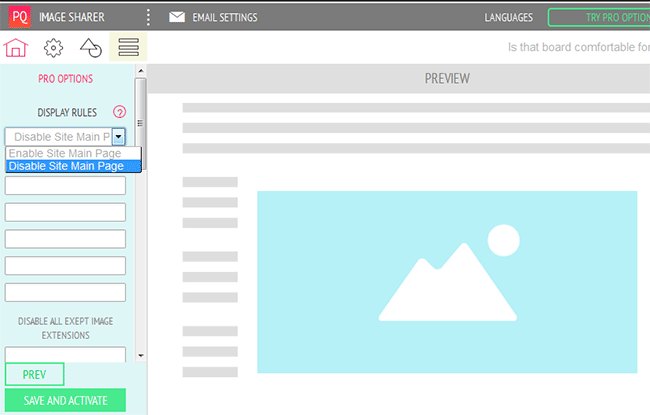 You need to add few lines of code, and all images of your blog will have social media sharing buttons. This is one solution that Harsh was using at ShoutMeLoud. You can get the code from here. To add the tag, I recommend you to use Google Tag manager, as it would ensure 3rd party scripts & tags will not slow down your blog. Most blogs have social sharing buttons for posts as a default, but you should consider adding social media sharing buttons on your post images. Especially Pinterest, Twitter & Fb buttons can do wonder for an image rich blog. For blogs that are heavy on images, such as food, crafting, photography and fashion blogs, then it’s essential. However, image sharing can benefit any blog in any niche because there are more chances for others to discover your work — even in places that you might have never considered. Do you have an image sharing tool you’d like to share? Tell us in the comments below! Thank you for the this post. I share everywhere one by one . with this i can share easily and I also save my time . Thank you . I want you give more tricks with the help i can save time . Wow! 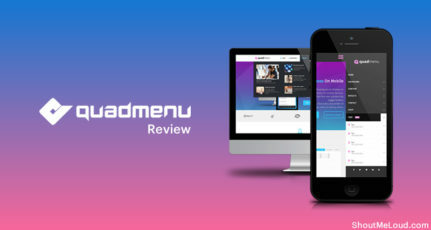 ShoutMeLoud new interface! Looking awesome! Yes Kim Image Sharer is very effective which can help us to increase the numbers of share. Generally readers love to share interesting content with others. And for this we need to make them easy to share by placing share button. However, great article indeed! This might very helpful for every bloggers and webmasters. Thanks for sharing an informative article with us. Keep it up! Thanks, Minhaj! I quite like the new look as well. Glad you agree with image sharing as a great blogging tool. Hi BARLOSO, Nice Information Thanks for Sharing it. Harsh Shout Me Loud New Look is Awesome but it would be great if you make some necessary changes to differntiate Anchor text in Content. From User Perpesctive I think it’s very hard to find out the Anchor Texts in your new website compae to old. you shared the easiest way to add share buttons to images. what about frizzly? is it a good plugin? Frizzly looks like a good plugin. I haven’t tried it but from the screenshots it may be designed for more advanced users who want more control over the image sharing buttons. Anyway, you can see for yourself and let me know how it’s different from this one. Hi, I already tried many image sharing plugins. In Frizzly when you share any image it will show the image which you select for featured image. I will try to use this new one and let’s see what happens. By the way thanks for the article on image sharing. Hi Kim, I have seen image sharing button on many blogs but never idea how to use this for my blog. Thank you for sharing the detailed post on it. Yes, image sharing buttons are not as popular but just as helpful for blog content promotion. Glad to share this with you all, as always. This is very easy way to add social share buttons on any pictures.It will help us to make our blogs more social sharing friendly.Thanks for sharing. One of the best worpress plugin for sharing I have ever seen. Thanks for writing about this awesome plugin, It will help us lot for image sharing.